A colorful Stowe Wedding for this Indian Sangeet…Video by Love Buzz. This Boston Couple held their destination wedding at our luxury New England Wedding venue. 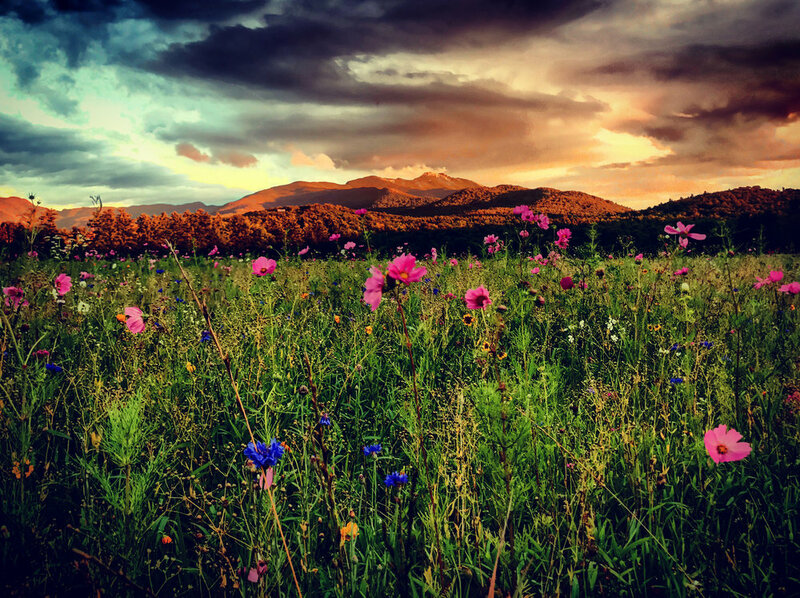 Our stunning landscape and venue are the perfect location for your Wedding Celebration! 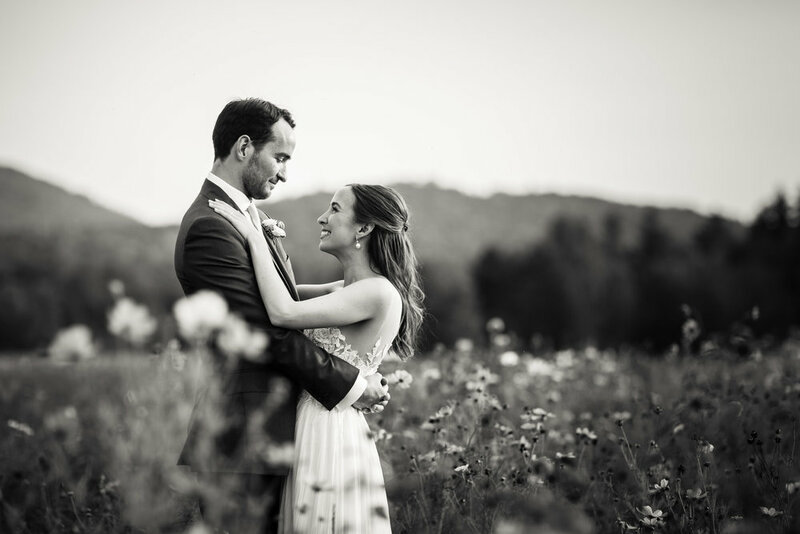 Our NYC couple K + V enjoyed a perfect day for their Stowe Wedding full of foliage and wildflowers. 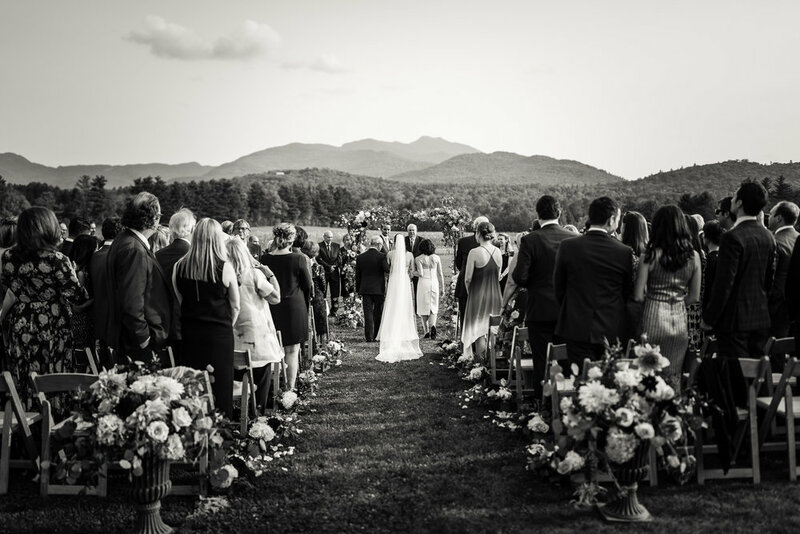 The Great Lawn provides the perfect setting for your Stowe Wedding Ceremony and many great photo opportunities. In the loft, We have designed and built a private oasis experience for the Bride and her Wedding Party. 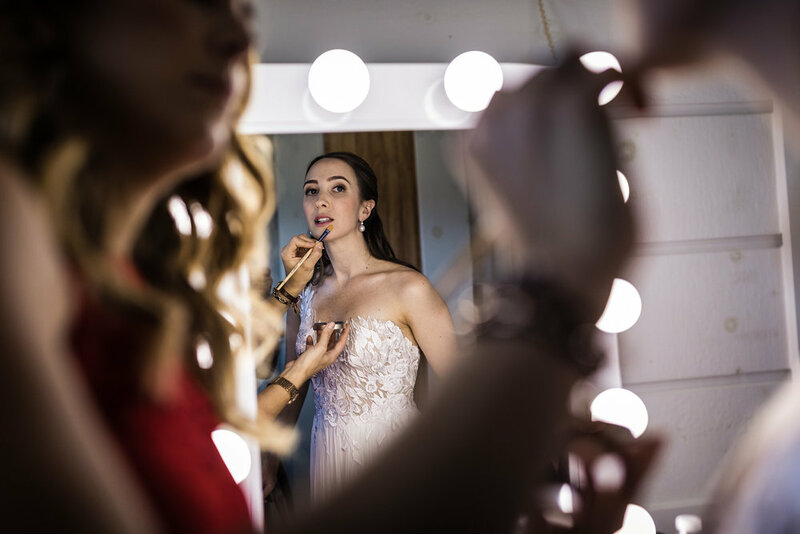 Our elegant and luxurious bridal suite is well thought out with a large dressing mirror, lounge seating area and a very upscale, private, fully tiled bathroom with glass rain water shower and hair and make up stations. We have an Aveda professional available locally for on-site service at The Barn. The views from the second story bridal suite are stunning, while the lounge area is a comfortable place to relax with your bridal party, prepare for the events of the day and perhaps sip some Champagne or Prosecco. Big sliding Barn Doors in the loft allow you privacy or a view of the venue below. A sweeping central staircase leads down to Main Event Space. The Main Venue Space with Large Sliding Barn Doors leading to the Winery. Open floor plan with no posts, interior walls or obstructions means everyone has a great view of the entire venue and there are no limitations on the floor plans for your event! The Winery with it's custom built bar made from large timbers. This Place was made for Dancing! With Comfortable Seating, Lighting, Ceiling Fans, Sound System and Fantastic Views of the Great Lawn and The Mountains, the Covered Patio is a great place to take your party outside, day or night. 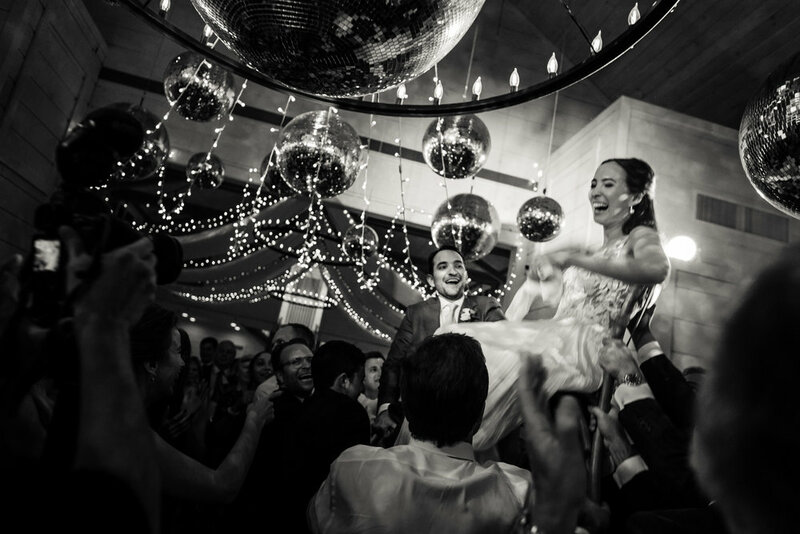 Also a beautiful and creative space for your first dance as shown below! Rendering of Covered Patio Space being used for a Stowe Wedding Ceremony. In addition to the Covered Patio, there are two other patio areas with cafe seating. Our beautiful Custom Built Farm Tables with a white-washed wood Finish not only match our interior, but provide a natural finish that makes your color accents POP! Natural wood and white color scheme is the perfect canvas for your Stowe Wedding. With White Walls, Pickled Wood Ceiling, Natural Wood Floors and Flooded with Natural Light our Venue provides The Perfect Canvas for all your color accents. White, Light and Bright make colors POP! 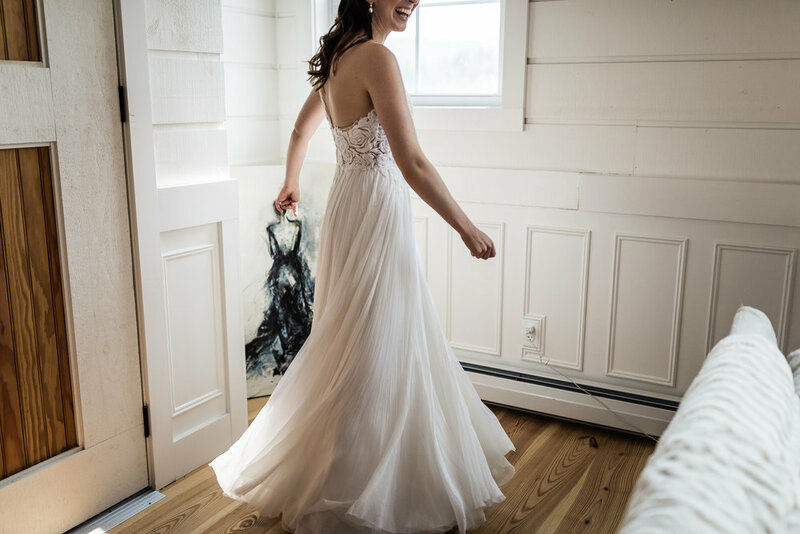 We have set a new standard for Vermont Wedding Barn Venues and today's Vermont Bride by creating this perfect canvas. 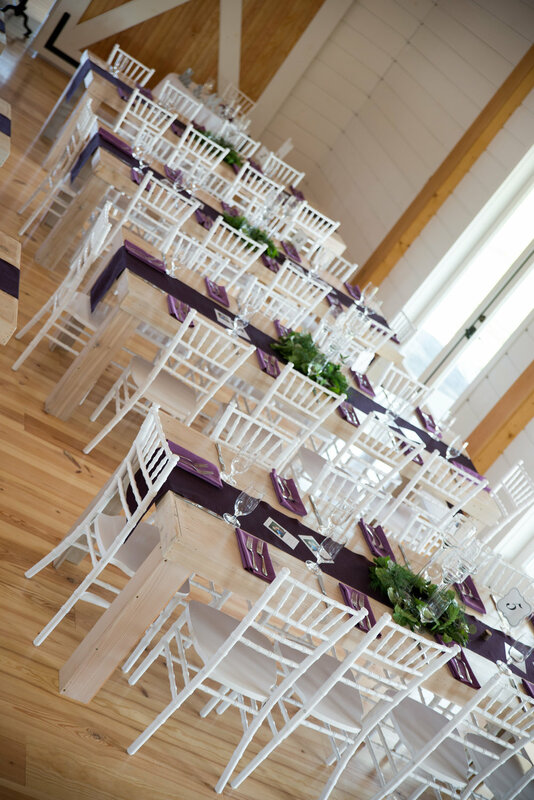 Bright with lots of light, elegant White Chiavari Chairs and Custom Built Pickled Wood Finish Farm Tables. This Perfect Canvas awaits your finishing touches of color and design. Photos: Portrait Gallery. 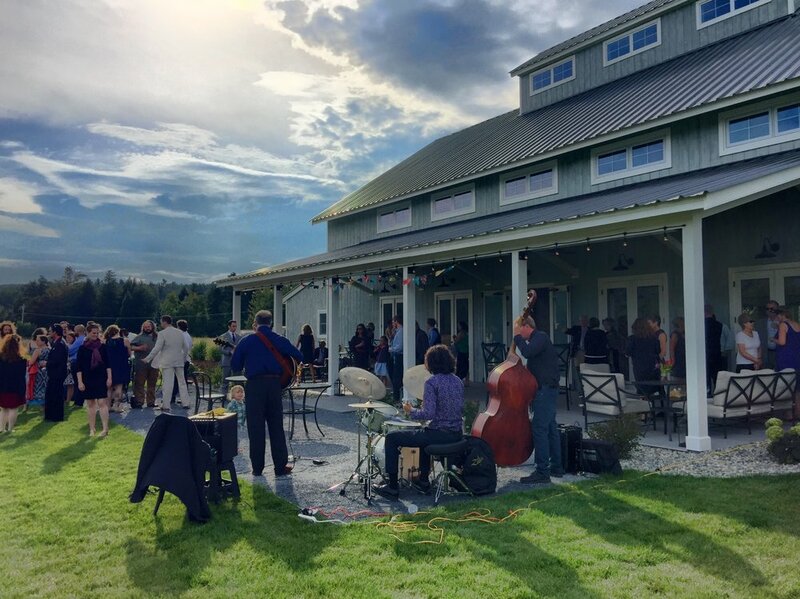 Our Modern, State of the Art, Fully Commercial Kitchen offers something that many Vermont Wedding Barns do not offer, the ability to have the catering for your wedding actually cooked on site as opposed to being cooked at a caterer's facility and then warmed hours later for the event. Our goal is always the best quality and service for your Stowe wedding event, creating a stress-free and seamless experience. Our venue has many bathrooms, each with their own unique design elements. We are often complimented on them by our guests as they are clean, upscale and modern, yet have design elements that make them special. Click here for our Wedding Overview Page.